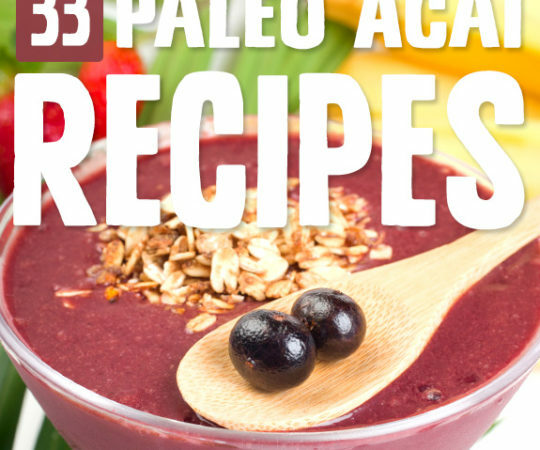 If you’re looking for a great paleo recipe that makes a satisfying meal and will leave you feeling completely energized, you’ve come to the right place. 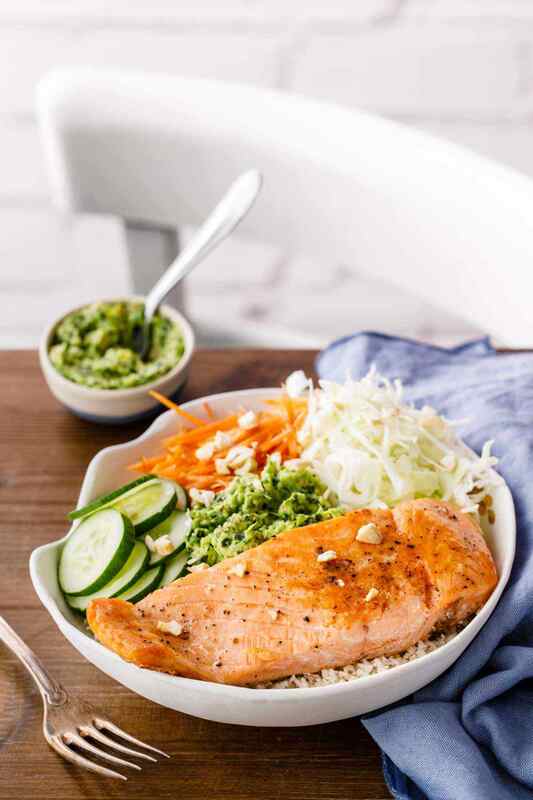 This Thai pesto and salmon bowl recipe truly has it all; a zesty Thai style pesto made from scratch, a paleo-approved rice replacement in the form of cauliflower florets processed into ‘rice’, a great variety of fresh veggies, and of course the salmon to provide plenty of protein and healthy omega-3 fatty acids. 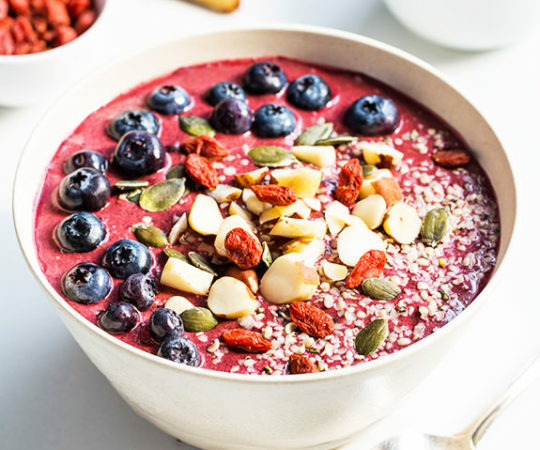 These types of bowl dishes are fantastic for anyone following a paleo diet, as they are incredibly easy to prepare and full of super healthy ingredients that should be a staple in your diet. It isn’t just the pesto that makes this dish so delicious though. 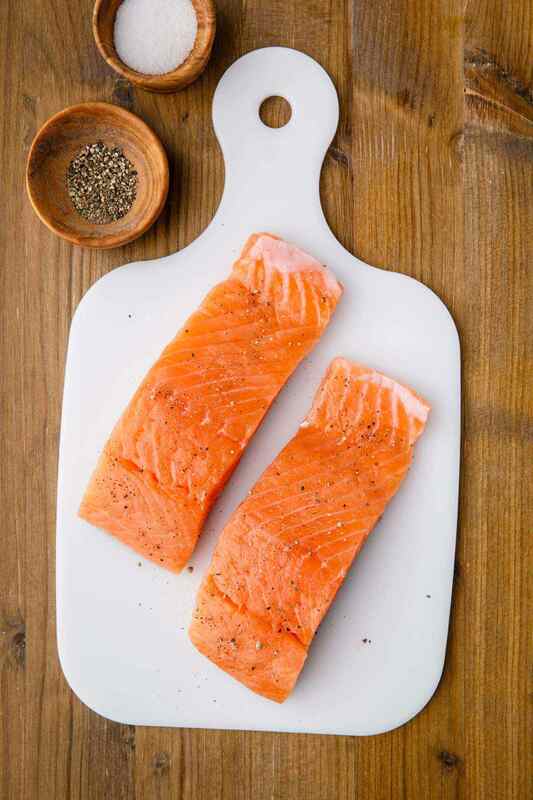 Salmon is one of my favorite seafoods to eat because it’s packed full of flavor, and it’s so incredibly good for you as well. Salmon is extremely high in both protein and omega-3 fatty acids. It’s also an excellent source of B vitamins and essential minerals. 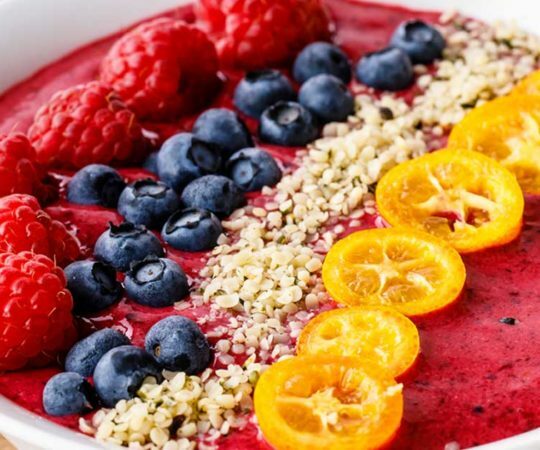 It’s extremely important to make sure that you get enough omega-3 in your diet as it plays a key role in lowering inflammation, boosting your immune system, and reducing your risk of cardiovascular disease. 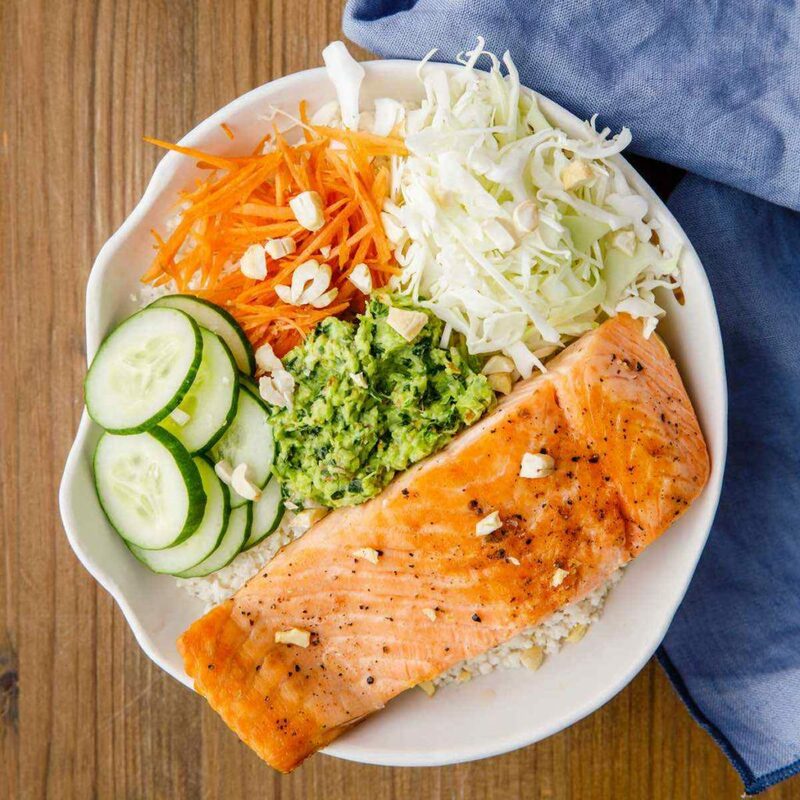 (2) While it’s possible to use supplements to make sure you get enough of this healthy fat, I much prefer to get my omega-3 from fresh fish and this pesto and salmon bowl is a perfect way to do so. If you’re not a fan of salmon, you could easily substitute it with other protein sources. This Thai pesto bowl would go well with scallops, shrimp, or a white fish like cod. Scallops, shrimp and cod are all low in fat but high in protein, so it will make for an incredibly satiating meal. 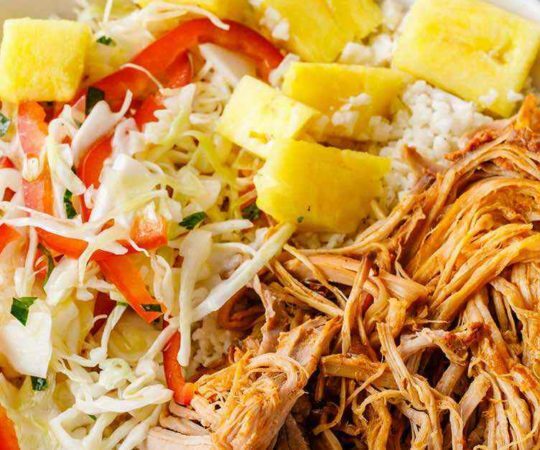 Another great paleo twist is replacing the white rice usually found in these types of healthy bowls. We all know that grains such as rice are a no-no while on a paleo diet, but thankfully cauliflower makes a terrific replacement for rice. It’s easy to prepare as well; just stick it into a food processor and blend until it has a rice-like consistency. What makes it such a great replacement is the fact it’s low carb and full of nutrients. 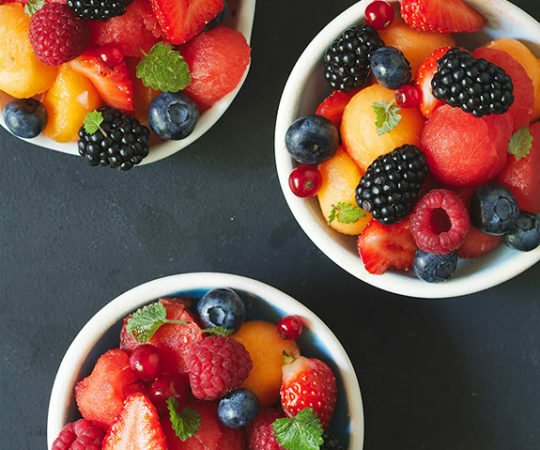 I’ve been making a lot of these healthy bowls for my lunches lately because of how convenient they are. They take next to no time to prepare and you can make more than enough for a few days’ worth of delicious paleo meals in one batch. 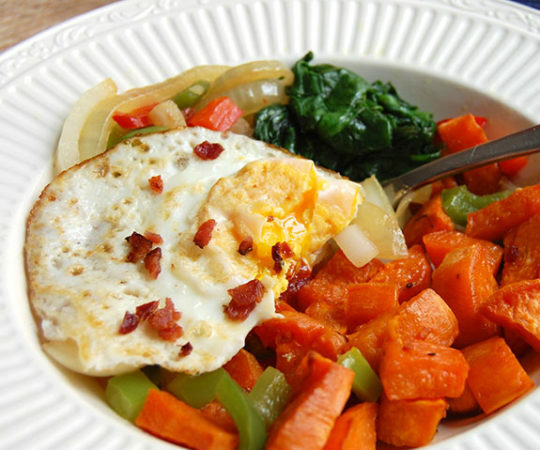 It’s a great meal to up your daily intake of protein and healthy fats as well. 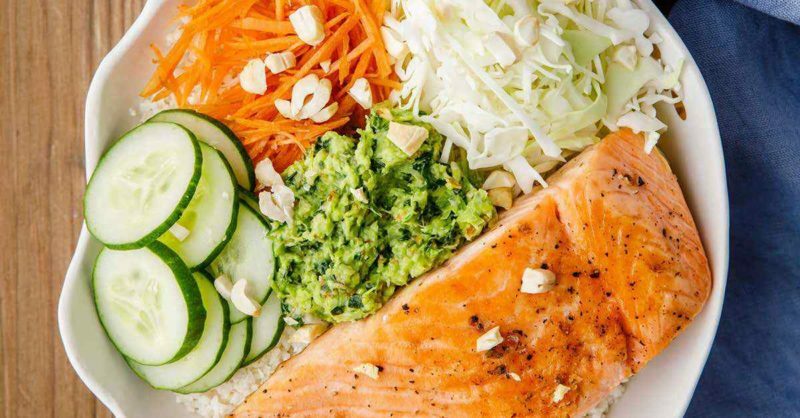 Even if you aren’t a big fan of seafood, you could easily swap out the salmon for another source of protein such as chicken or grass-fed beef. If you’re on the lookout for more great paleo meals that make perfect use of salmon, I’ve got a few great recipes I want to share with you. The first one is a recipe that makes classic salmon cakes. There’s also a great salad recipe that contains poached egg and salmon that you’re sure to love. And finally make sure to check out this great dill and lemon baked salmon in parchment recipe. It’s full of juicy delicious flavors that seafood lovers will go nuts for. 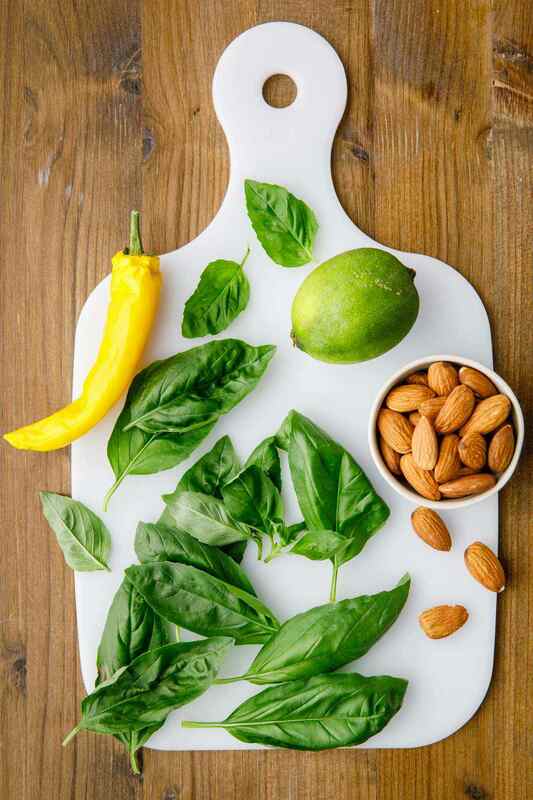 To make the Thai pesto, place all the ingredients in a blender and process until blend. If the mixture is too thick, add 1-2 tablespoons of water. Season to taste and set aside. Drizzle with ½ tbsp olive oil and season with salt to taste. Heat 1 ½ olive oil in a large frying pan over medium-high heat. Cook, 3 minutes per side. Add the lime juice and honey. Simmer for 1 minute, until liquid is reduced slightly and the salmon is just cooked. Top with cabbage, cucumber, carrot, salmon, pan juices and pesto. Sprinkle with chopped cashew nuts and serve.